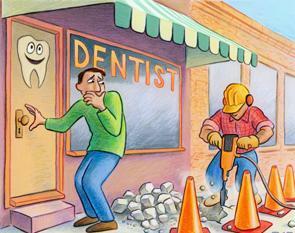 Unfortunately, most patients do not really look forward to a dental visit. A good majority of these individuals find enough courage to make an appointment and turn up for their dental appointment. Others never find the courage to make an appointment or just keep postponing appointments. The reasons behind this fact can be many, including a history of bad dental experiences, fear of needles, very sensitive teeth and general fear, anxiety and stress related to dental treatment. This can only make things worse because the dental condition will get worse with time. At MySmile Dental Care Centre, we acknowledge that patients deserve to have pain-free and stress-free dental treatment and we have the solution for you. We offer dental treatment with inhalation sedation or with general anaesthesia. Nitrous oxide gas is more commonly known as “laughing gas”, “happy gas” or "sweet air". It is a safe gas that is breathed along with oxygen through a flexible and comfortable “nasal hood” fitted over the nose. 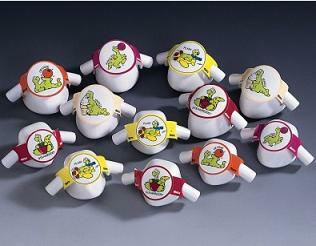 It can be used in children over the age of 5 and in adults too. The level of sedation can be easily adjusted since the amount of nitrous oxide gas and oxygen are altered individually for each patient. The calming effect begins within minutes and quickly wears off once it has been stopped being given to the patient. Therefore, patients can receive dental care in a very relaxed state and will still be able to drive themselves safely back home or to work. At least 4 hours must elapse between the last light snack eaten and the time of your appointment. Drinking water (not milk or other drinks with protein) is allowed up to 2 hours before the appointment. Nasal airways must not be blocked, otherwise you will not be able to breathe the “laughing gas” through your nose. A nasal decongestant spray must be used in such cases. 3. If a patient is coming on his/her own, he/she must spend 30mins in the waiting area after the “laughing gas” treatment is stopped to ensure that he/she can walk and drive independently. If someone is escorting the patient, he/she may leave immediately after treatment is completed. - No needles or injections required to achieve sedation. - For certain procedures like a deep cleaning, it can be used instead of using a local anaesthetic injection. 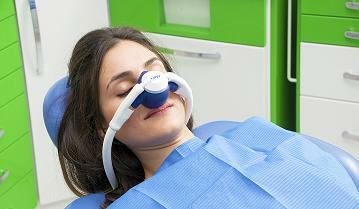 - Easy to increase or reduce the depth of sedation. With IV sedation, it is easy to increase the depth of sedation but more difficult to reduce it. - No need for someone to drive you back home since there is no "hangover" effect. - Sedation is instant. You don’t need to wait for the pill to work. The onset and duration of action of a sedative pill may also vary between one patient and another so timing it with the time of your dental appointment may not work out as desired. - Easy to increase or reduce the depth of sedation. This is not possible with oral sedation. - Easy to give incremental doses until the desired level of sedation is achieved. - No need for someone to drive you to the premises and back home since there is no "hangover" effect. We also offer the service of having your dental treatment carried out under General Anaesthesia (GA) at a local private hospital. This consists of the patient being put to sleep and the treatment is completed while the patient is asleep. 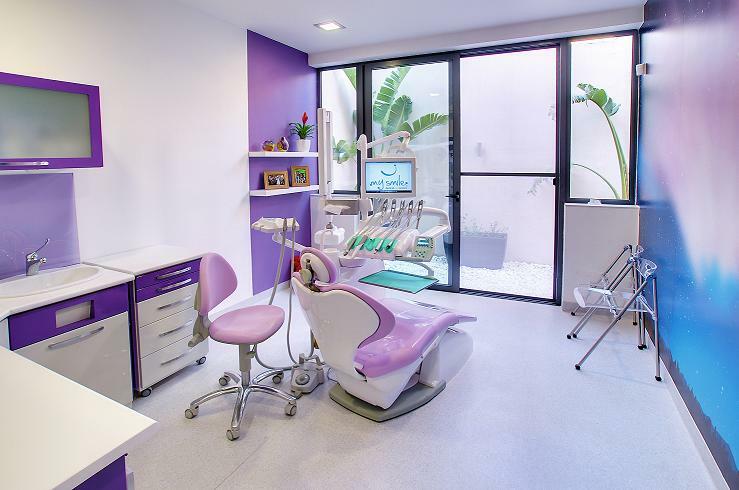 Besides tooth extractions, we are also equipped to carry out other dental services such as fillings, pulpotomies and pulpectomies in children, dental scalings (cleaning) and root-canal treatments of anterior teeth under GA. It is a fact that most patients who request to have their dental treatment carried out under GA may be satisfactorily treated with Inhalation Sedation. 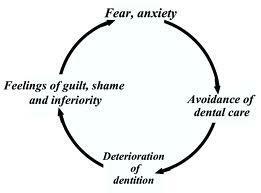 However, some patients can only be treated under GA due to an excessive level of fear from dental treatment.